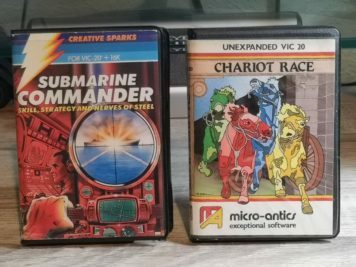 Picked up a few nice games off eBay recently for my VIC20. Although I’ve had all of them in past, this is the first time I’ve actually owned the retail releases for each game. 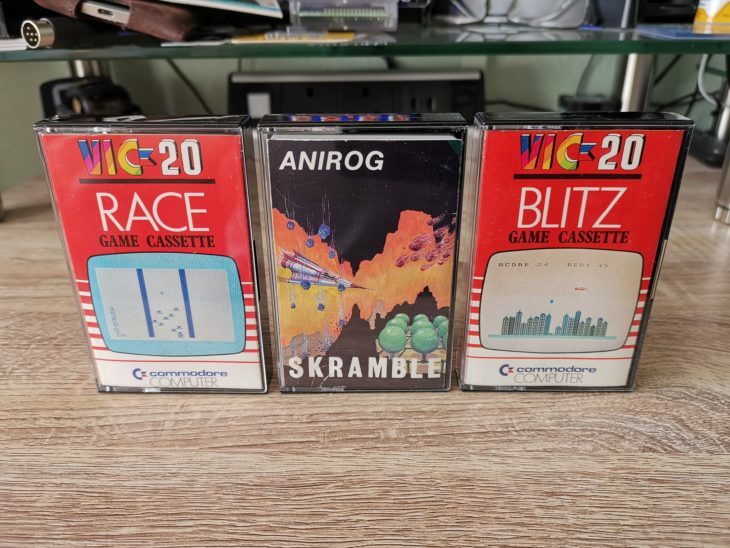 The copies of Blitz and Race I had as a child were part of a compilation tape I got with my VIC20. I only ever had a pirated copy of Skramble so now at long last I have the original game in my collection. Although the cassette tapes and ‘J’ card inlays were in terrific shape, the boxes on all three were extremely tatty and well worn. The very first thing I did was replace them with new ones and as you can see the games all look as good as new now. 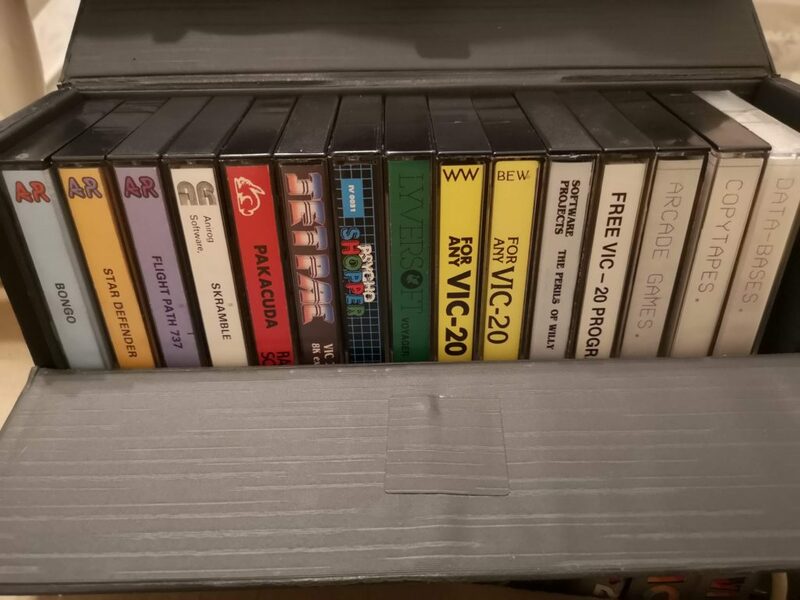 Like many people I got my copy of ‘Blitz’ and ‘Race’ on a compilation tape that came with my VIC20 computer. 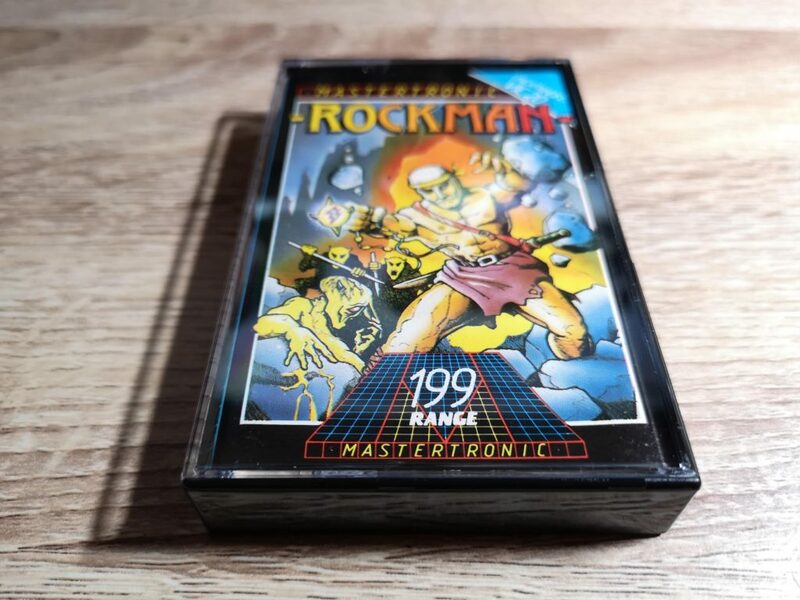 I still have this tape (pictured below) of course but thought it would be cool to own the original, stand alone copies of the games too. It’s holding up pretty well considering it’s now 37 years old! 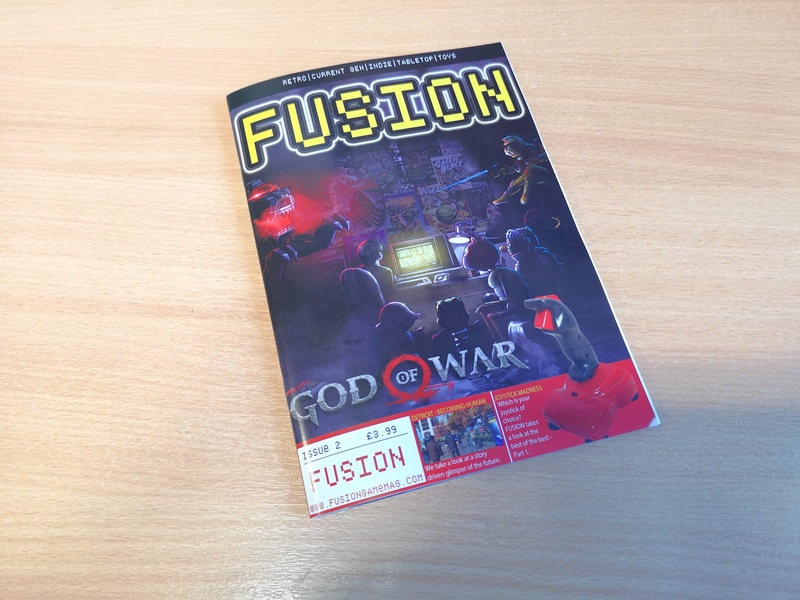 As I’ve done on previous occasions, I’ve taken some screenshots of each game and written little mini reviews of each. 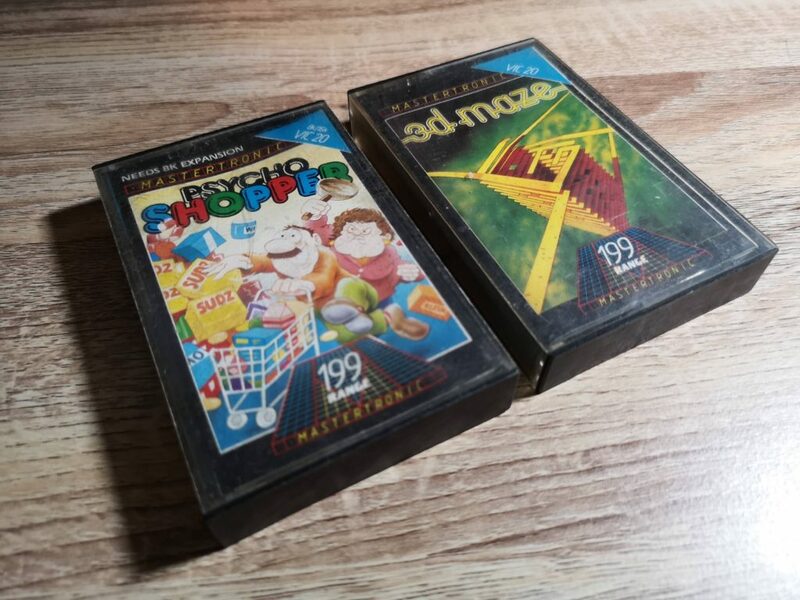 Part of the fun of getting hold of these old games is to relive the whole experience of loading them and seeing if I even remember what they used to look like correctly after all this time. Despite some horrendous squeaking noises this loaded after a few tries. It’s a pretty spartan game with a brief text introduction and then on to the game. 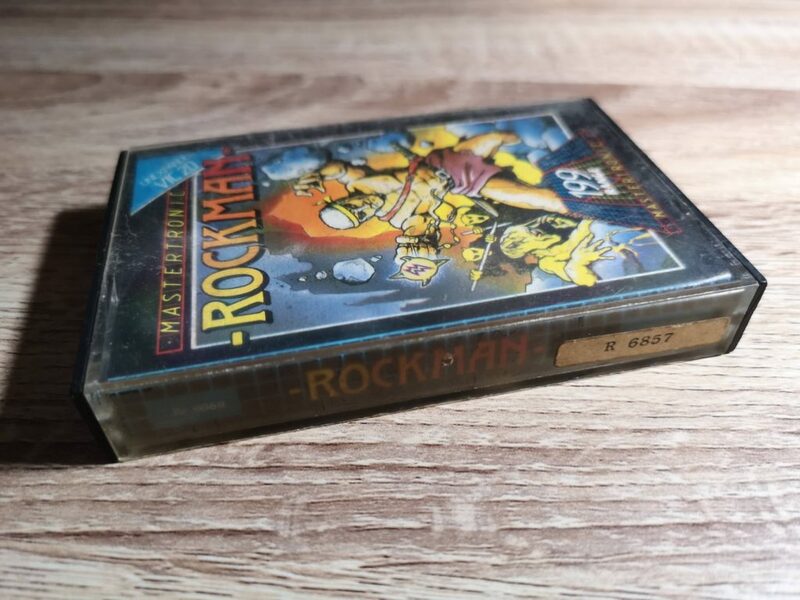 Despite the name and screenshot on the front of the cassette case this is not a racing game. No, this is a dodging game. Move your bike left and right to avoid the other bikes scrolling up the screen. The are four difficultly levels and it gets faster as you progress until you either reach the end or crash. Needless to say it’s not a very entertaining game, and probably never really was. The whole thing is very rudimentary, but then again it looks like it was written in BASIC so you can’t expect too much. Still, it’s a nice little bit of VIC20 history. 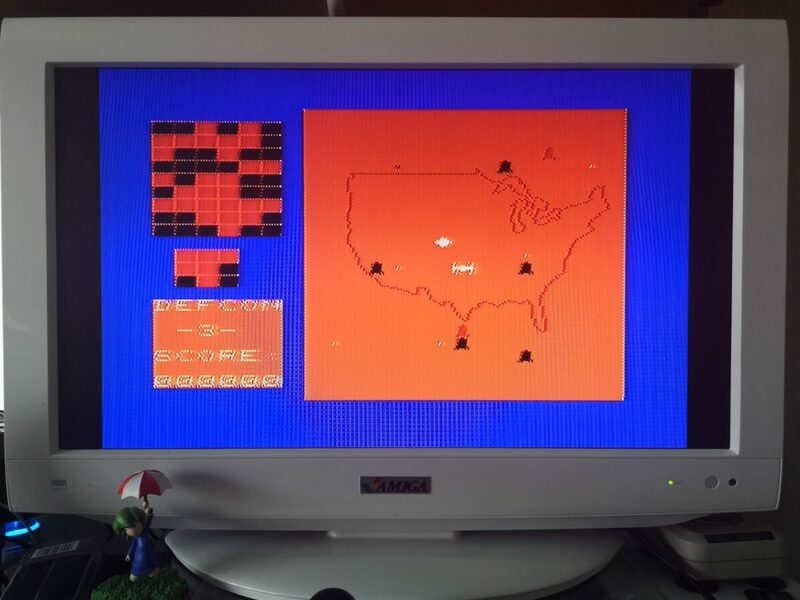 This is also a 3.5K game written in BASIC for an expanded VIC20. However this one manages to have a lot of charm and character and is quite fun to play. The idea is simple, fly your little bi-plane across a randomly generated city as you bomb it into oblivion so you can land. Every time you reach the edge of the screen your plane drops down a row, getting ever closer to the skyscrapers below. You can only drop a single bomb at a time so there is an element of strategy (and luck) to it if you want to succeed. If you time it well you can often drop two or more bombs in one pass which is crucial to clearing the city. Fail to bomb even the smallest bit of rubble away and you’ll crash into it and it’s game over. I played this quite a lot as a child, the graphics are really pretty good for what it is and the sound effects work really well too. It’s still actually fun now and a worthy addition to my collection. I thought this tape was faulty at first as every time I tried to load it I was getting an ‘out of memory’ error. After a spot of RTFM I tried just typing ‘LOAD’ instead of the customary ‘SHIFT & RUN/STOP’ as it suggested. Hey presto – it worked! 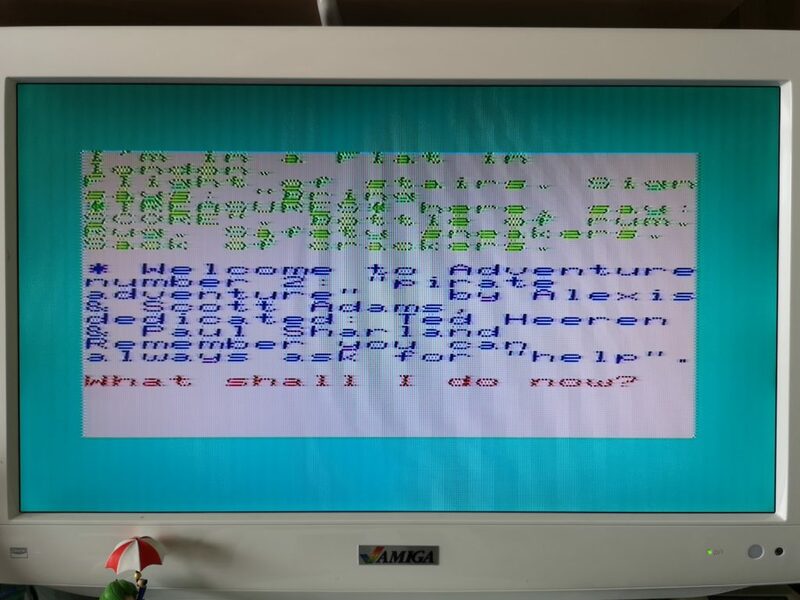 The screen turned white and the text red and several minutes later the game greeted me with a very colourful title screen. I have to say this is by far the best game of the bunch, the extra 16K of RAM really allows the VIC20 to show what it is capable of. 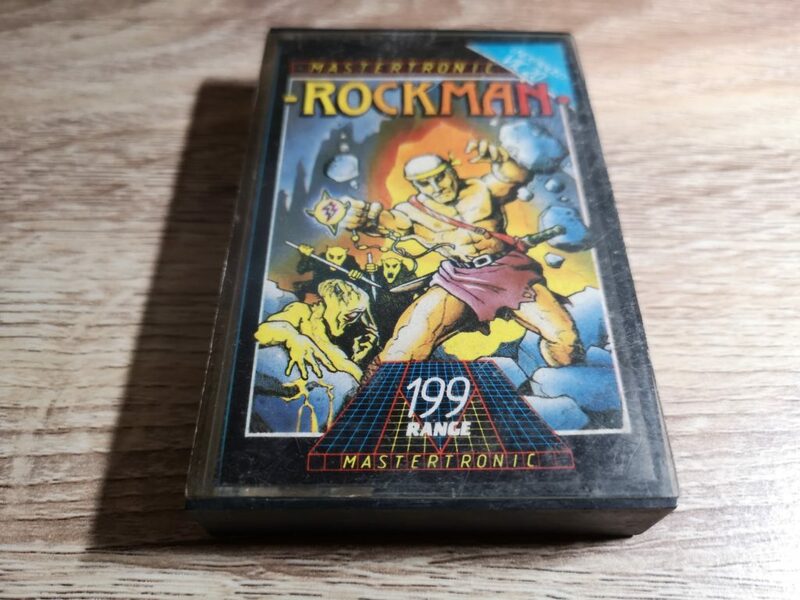 Fantastic, colourful graphics, slick side scrolling and punchy sound effects made this one of the best Skramble clones you could play at the time and it still looks great even now. It’s definitely the best version of Skramble you could play on the VIC. Just a shame so few games actually took advantage of the 16K RAM expansion back in the day as the VIC20 was capable of running some great games if given the chance. It’s was very difficult trying to play this whilst reaching for the phone camera, games back then didn’t have a ‘pause’ feature! I’m looking forward to playing this a lot more now and reaching the end. If my memory is correct there were 6 levels in all with the final one being pretty torturous. I completed it many times over as a child and won’t rest until I do the same now as an older and wiser, albeit probably slower adult! 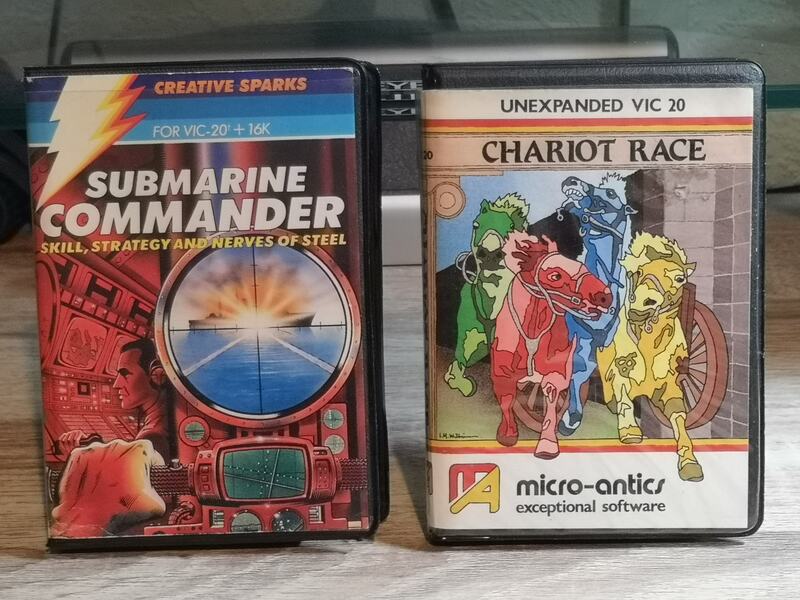 Picked up a couple of terrific classic VIC20 game cartridges off eBay to add to my collection this week. Pirate Cove and Star Battle, both of which are in fantastic condition. 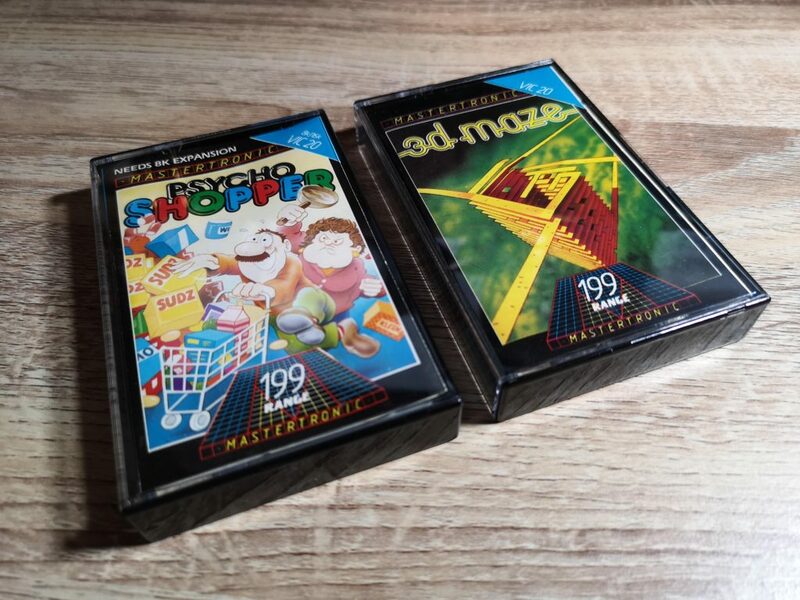 I’ve also spent some time scanning the boxes in and have added them to my ‘3D VIC20 Game Museum‘ too! 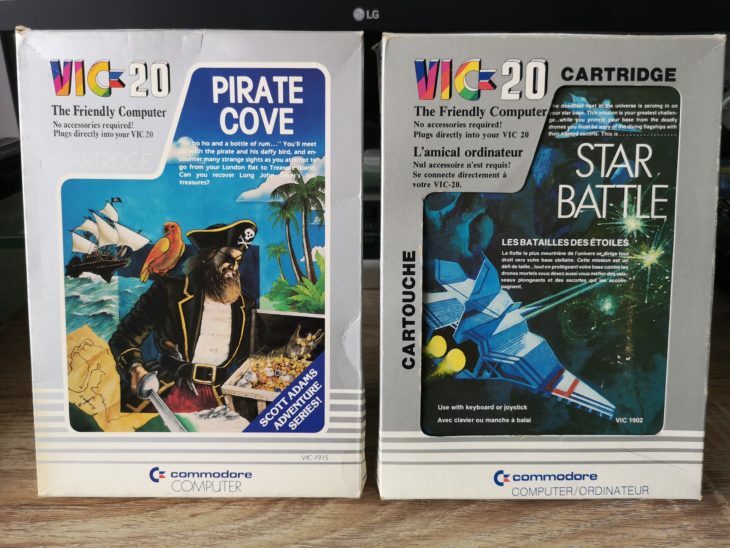 Pirate Cove is another excellent Scott Adams text adventure and along with ‘The Count‘, ‘Voodoo Castle‘, ‘Adventureland‘ and ‘Mission Impossible‘ completes my collection of his games on the VIC20. 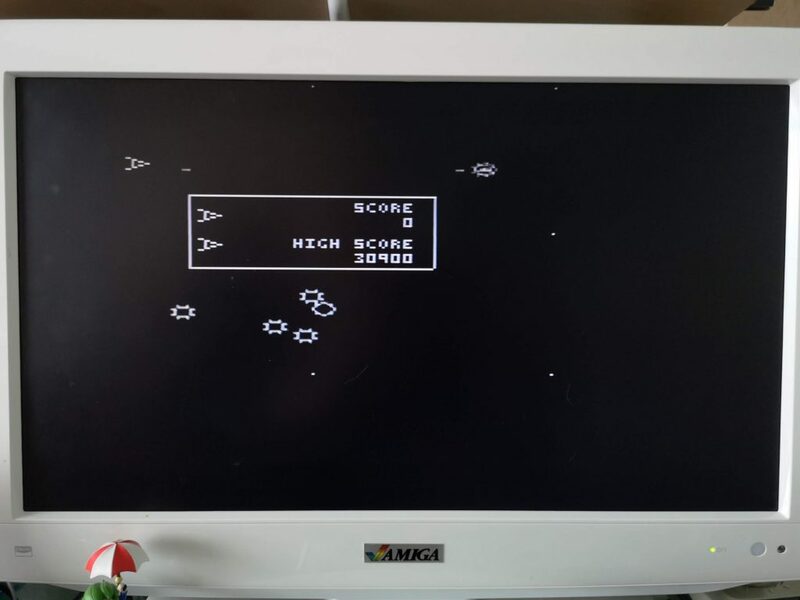 Star Battle is a rather good Glaxians clone for the VIC20. I never had this as a child so really pleased to be able to add it to my collection now. 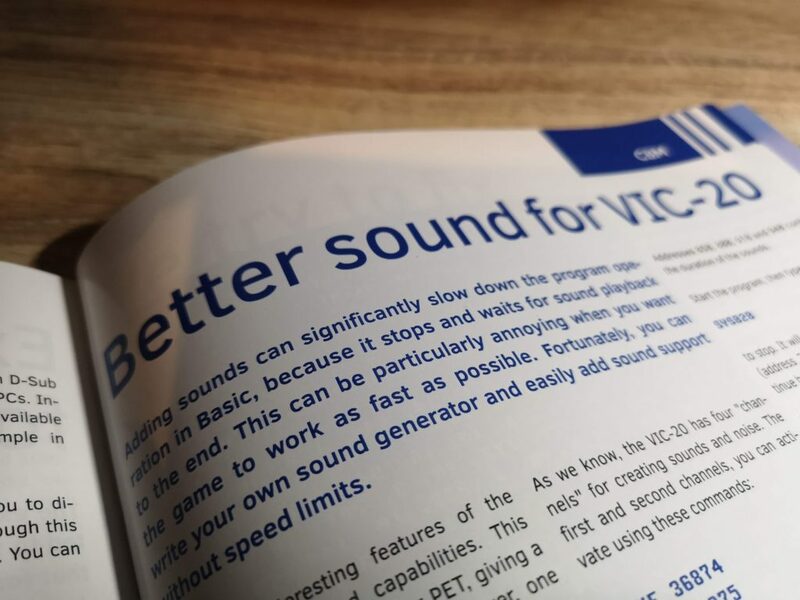 Thought I’d share a little review of a new gizmo I picked up for my VIC20 recently. 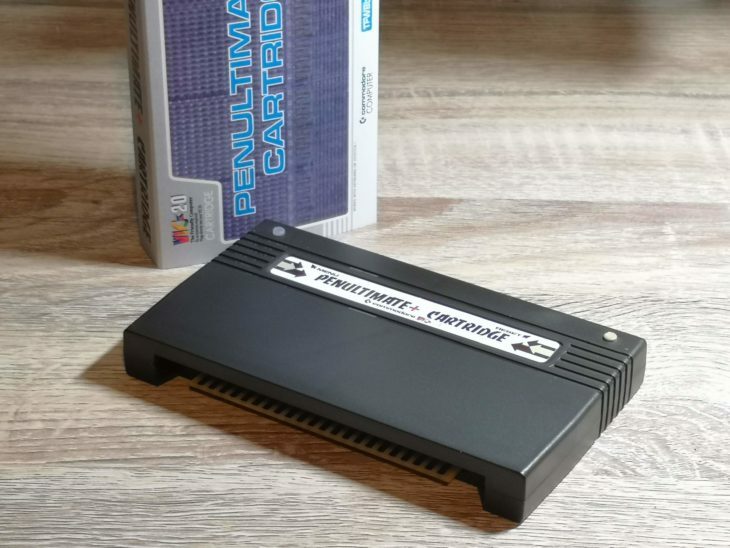 It’s called the ‘Penultimate+’ cartridge and it’s sold by The Future Was 8-bit. 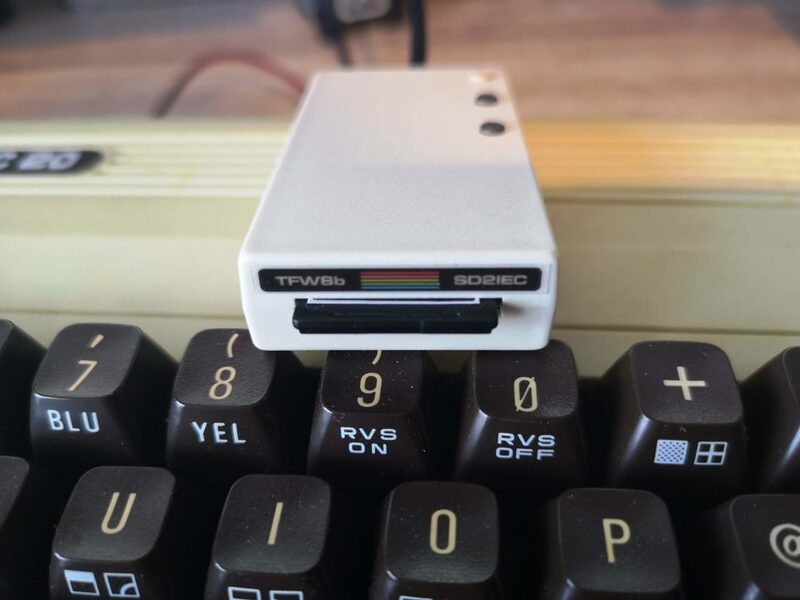 It aims to be the only cartridge you will ever need to put in your VIC20’s expansion slot. 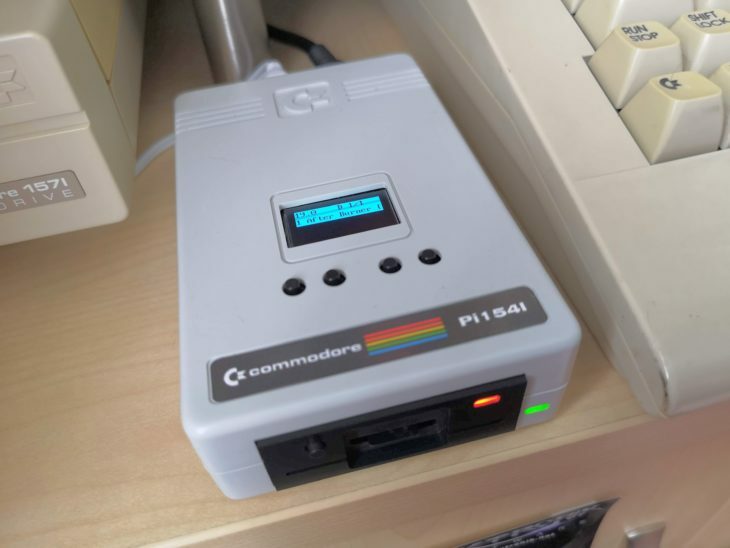 It combines a RAM pack, various expansion carts, reset button, system diagnostics and over 70 game ROM’s into a single cartridge and all accessible through a simple and intuitive menu system. The artwork on the packaging is fantastic, riffing off the original cartridge boxes to produce a product dripping with nostalgia. 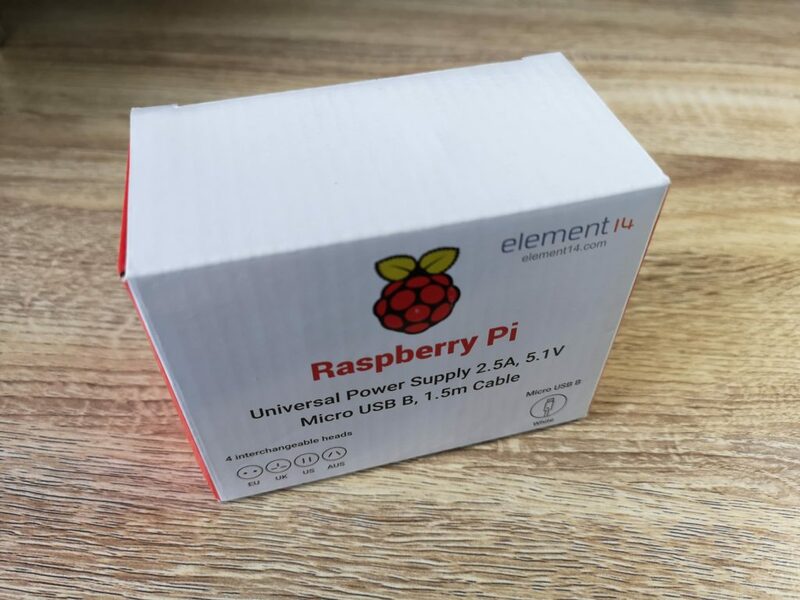 It’s a slip-case rather than a box though which disappointed me a little bit. 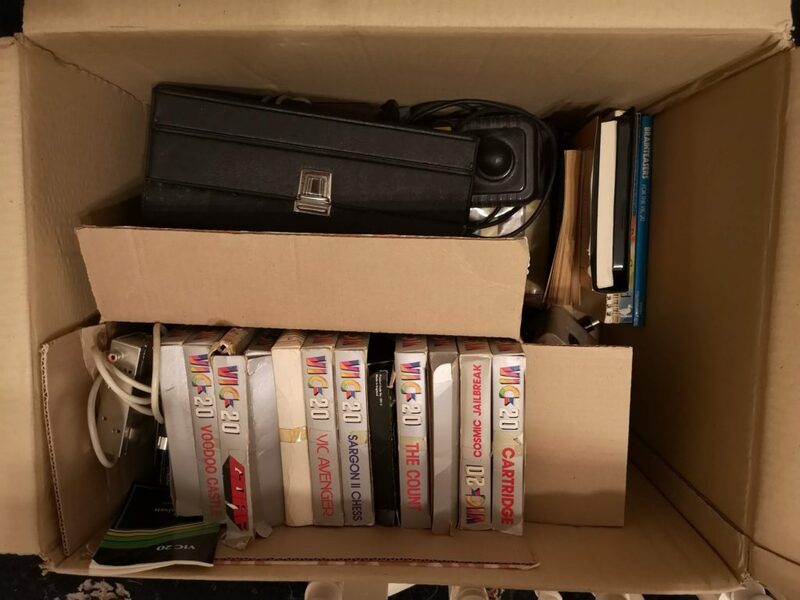 Although I realise my cartridge is likely going to stay plugged in most of its life, it would have been great to have a proper box to store it in for those times when it’s not. Even if I never unplug the cartridge again, as a collector I would have appreciated a proper box to display on my shelf. With no cartridge inside the slip-case is very flimsy and could be easily squashed flat. The cartridge itself is sturdily built from brown plastic to a very high standard. It fits snugly into the VIC20’s expansion port without any issues at all. 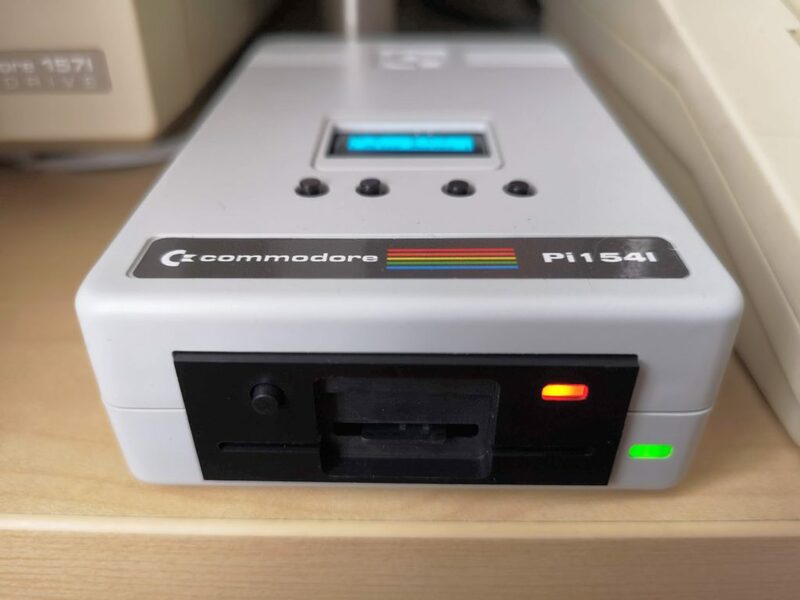 Most of Commodore’s original expansion carts were produced in a similar colour so again this is a nice nostalgic nod to the past. On the top are two buttons. The first button on the left is an illuminated ‘menu’ button that launches the Penultimate+ Cartridge’s menu screen. 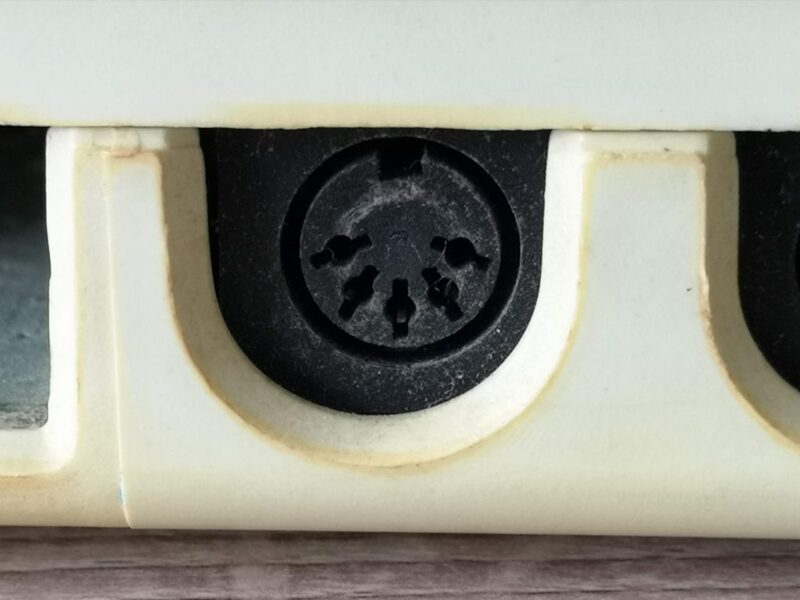 The second ‘reset’ button on the right resets your VIC20 vastly reducing the need to power cycle your machine. Given that much of the time this cart is going to be used for playing games, having joystick navigation through menus is a godsend. Simply move up and down with the stick and press fire to select a menu item or launch a game. Some frequently used options also have handy keyboard shortcuts too. The RAM pack behaves in much the same way as other switchable RAM packs like the Vixen one I already have. The one big difference with this one is that you can change the amount of RAM available using the on-screen menu instead of messing with DIP switches. You are able to chose from Unexpanded (no extra RAM), 3K, 8K, 24K, 32K and 35K. Strangely there’s no option to select 16K but playing 16K games with the 24K option seems to work just fine. Select one of the ‘Set RAM…’ options from the menu to have that amount of RAM allocated whilst remaining in the menu system so you can load a game ROM. 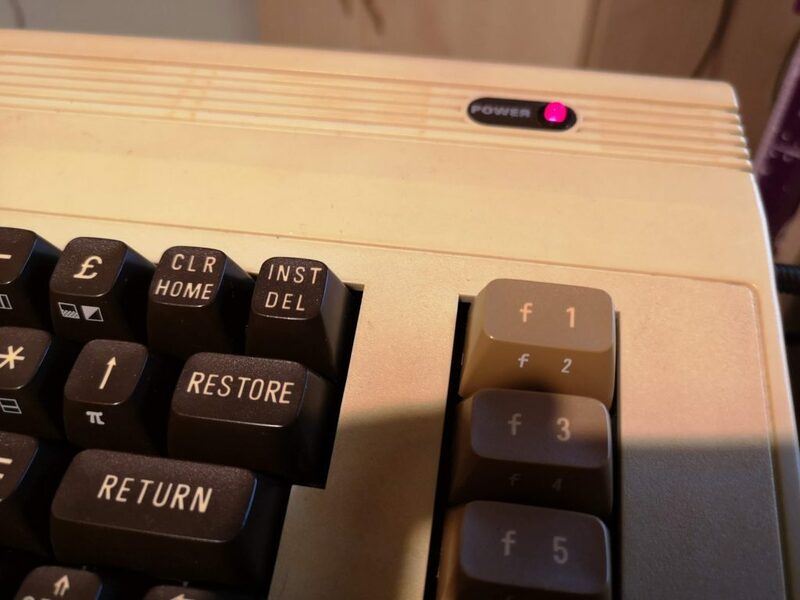 Press one of the function key shortcuts at the bottom of the screen to reset your VIC20 and drop you at the BASIC screen with the extra memory allocated. This is the option you would choose if you wanted to write a program or load one off a cassette tape and needed the extra RAM to do so. 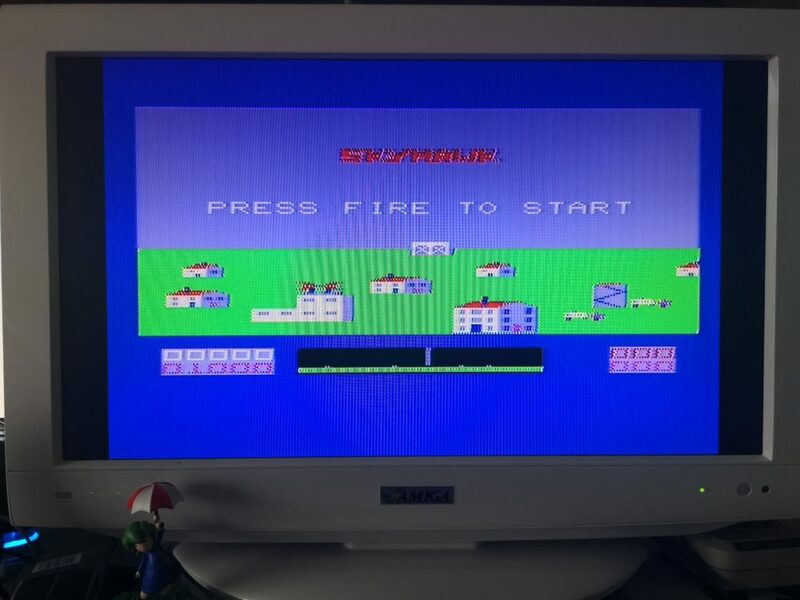 Main menu with RAM options. 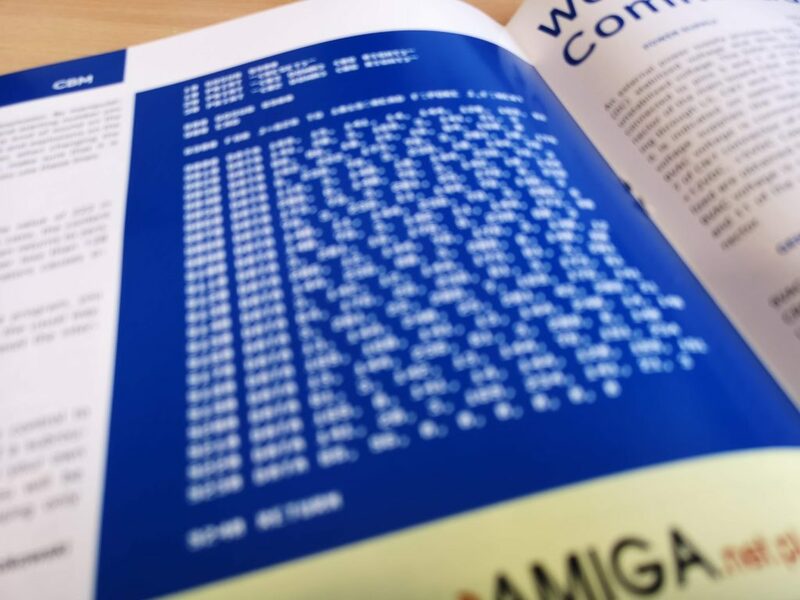 Unlike, for example, the 1541 Ultimate cartridge that you can get for the Commodore 64, the Penultimate+ Cartridge does not allow you to add any content of your own. You are stuck with the cartridges and game ROM’s that it ships with. 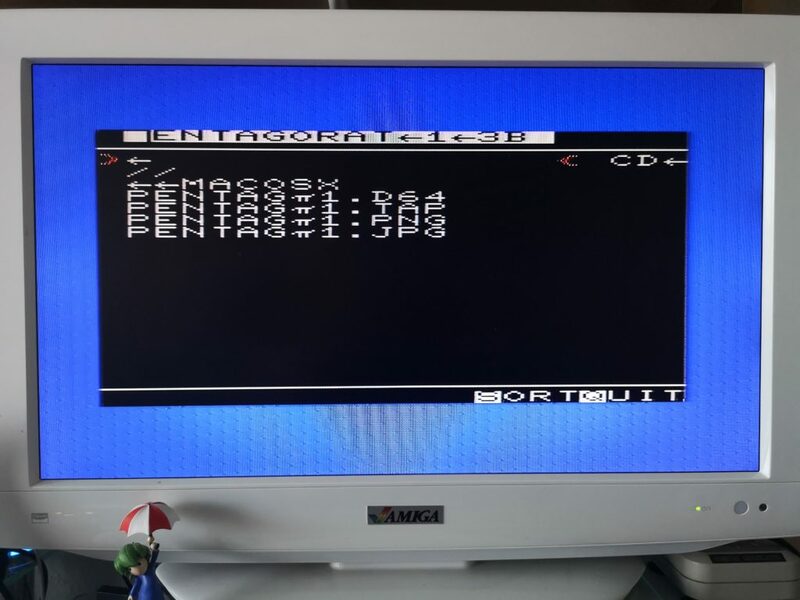 Thankfully however, it does provide a quick way to access any content you may have via an SD2IEC device. Selecting this option from the menu will allow you to easily browse through the content of an SD card using a joystick. For games that won’t run on an unexpanded VIC20 you can allocate the correct amount of additional RAM needed before launching a game. I found this to work really well but I do need to spend a little time organising my game collection by how much RAM each needs. Under this section you will find a bunch of utilities that may be of interest to the more dedicated user. This is a terminal program but as I don’t have a suitable modem for my VIC20 I’ve been unable to try this. This is a high speed cassette loading system. If you load this up and re-save a program to cassette it will load back in a fraction of the time. 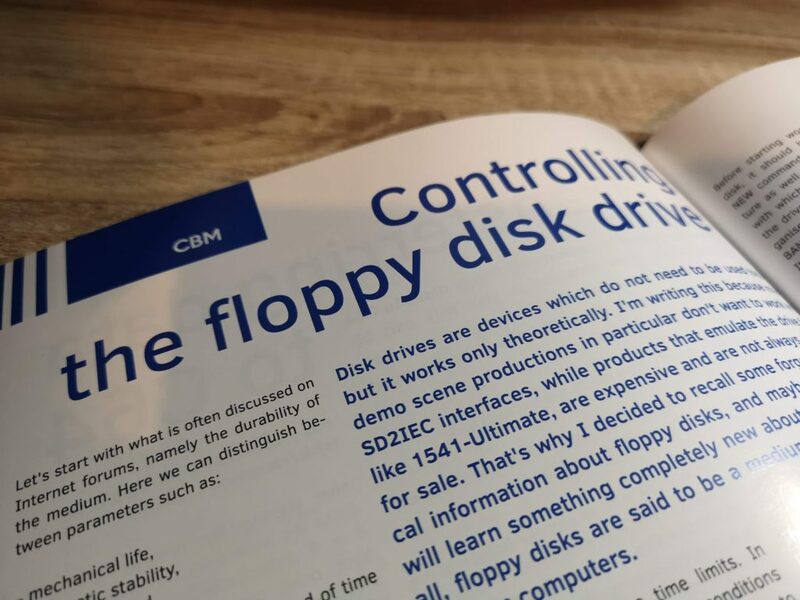 This adds a number of sorely lacking disk handling commands to the VIC20’s BASIC arsenal such as ‘DIRECTORY’ and ‘DLOAD’. This is probably the most useful of the bunch and greatly increases the BASIC commands available for writing programs. It provides dedicated graphics and sound commands along with some extra RAM to create them. It also provides commands that enable you to easily read paddle and joystick inputs. 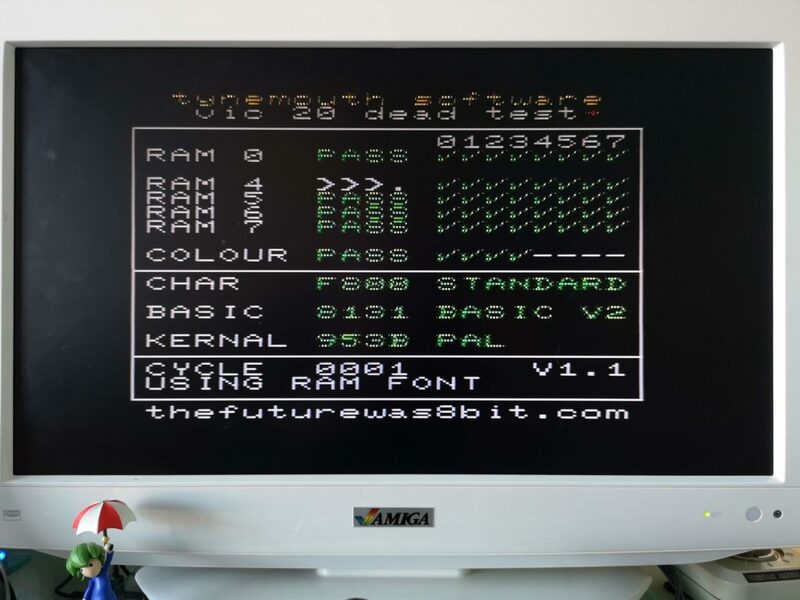 If you were thinking of writing a VIC20 game then this would be a great cart to load up. The only downside to this is however is that anyone else that wanted to run your program would also need the Super Expander for it to work! This could prove to be another really useful feature to have on board. When you load this up it will test various aspects of your VIC20’s RAM and ROM in an endless cycle. 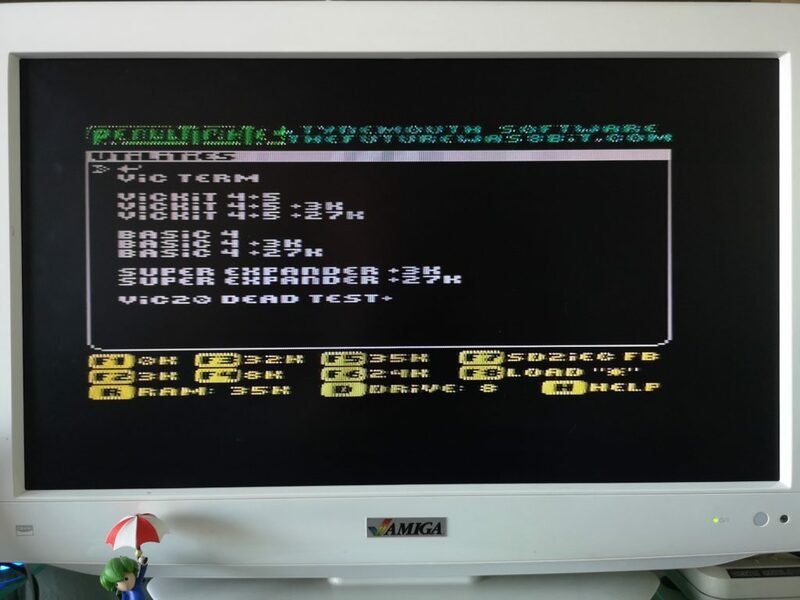 If your VIC20 ever starts behaving strangely then this would be a great tool to load up to get an idea what’s going wrong. 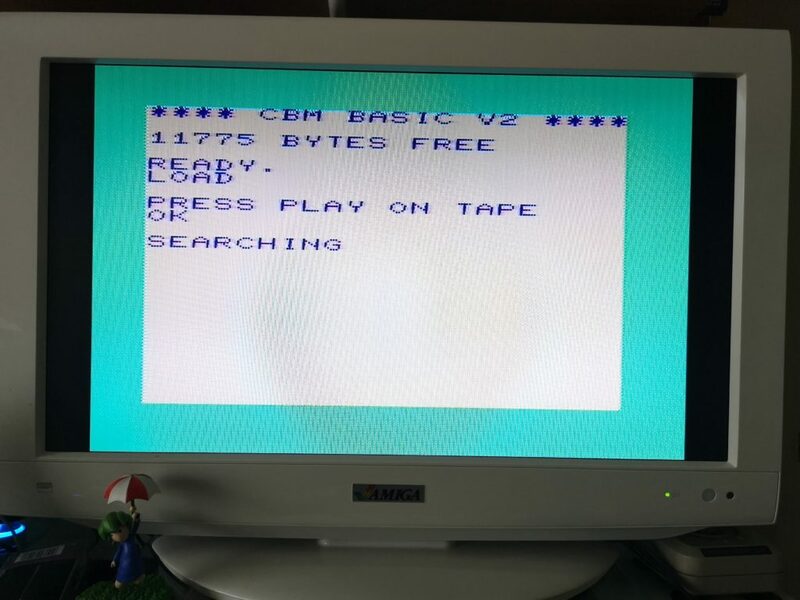 If your VIC20 won’t even boot up then you can hold down the reset button for 10 seconds after switching it on to go straight to the dead test function. This is where ‘Dead Test’ cart actually earns its name. I would have liked an option to buy dongles to plug into the various ports enabling a more comprehensive test but it’s still a great tool to have at your disposal. Maybe a future version will offer this feature. 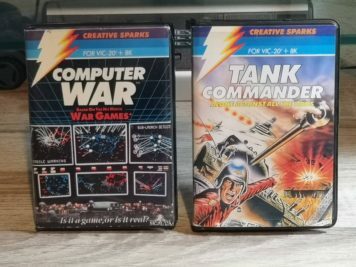 If you have a VIC20 then you should seriously consider getting one of these cartridges. 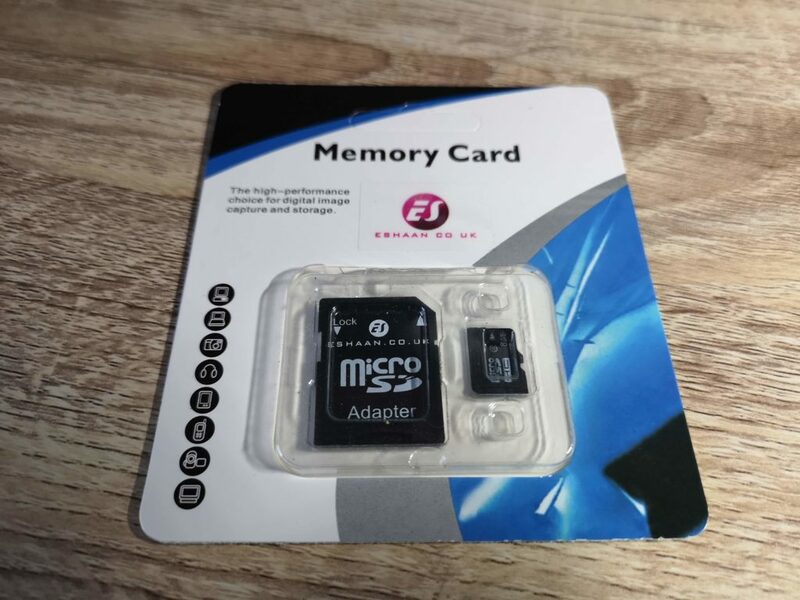 It successfully combines a huge number of cartridges, games and functions into a single plug and play cartridge driven by a simple and intuitive menu system. Even if you’re like me and have an extensive collection of cartridges already I would still recommend getting this. 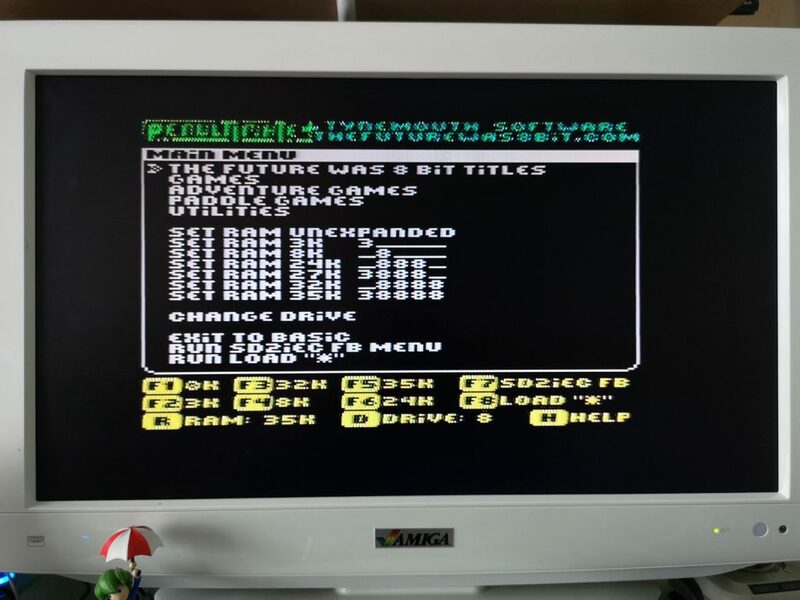 Not only is it hugely convenient to have an entire library of titles and functions always at the ready but it saves the wear and tear of both your VIC20’s cartridge port and the individual edge connectors of your cartridges. 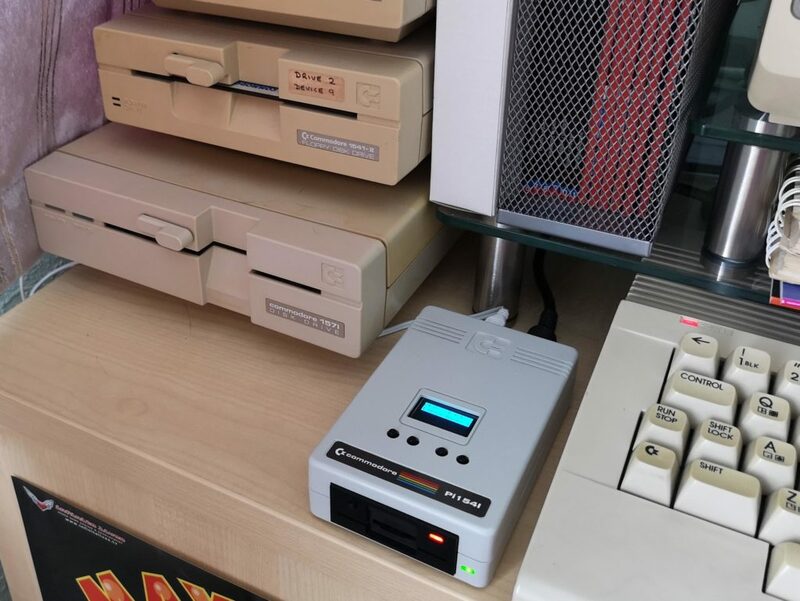 If you add an SD2IEC reader then you can literally have everything a few stick waggles and a button press away. Does it fulfil it’s mission to be the one and only cartridge you need? 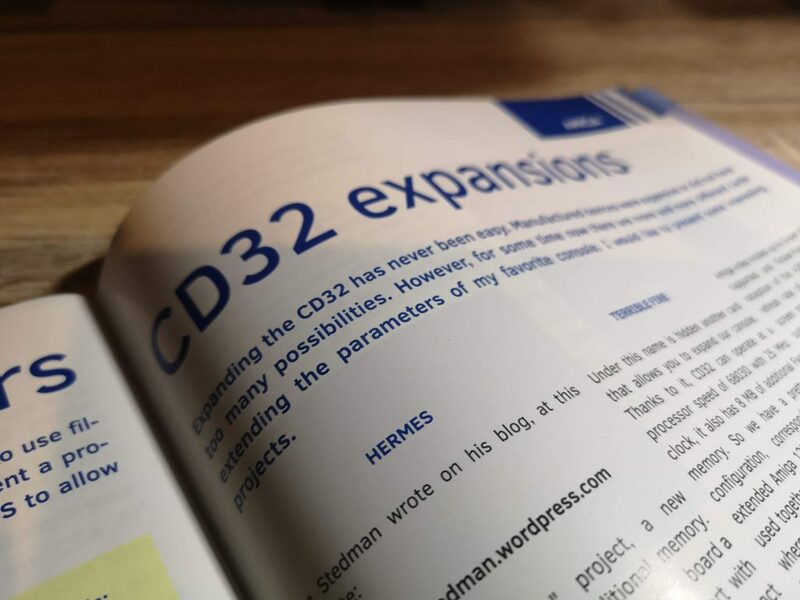 Almost, but I still have an Adman speech synthesiser cartridge that I enjoy messing about with from time to time. Maybe a future ‘Ultimate’ version will incorporate this too and then it really can remain plugged in forever! 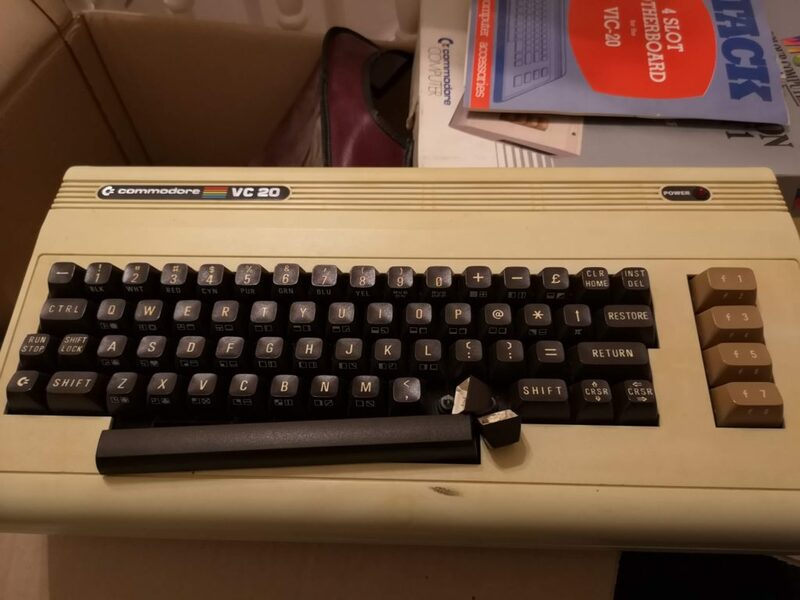 This is just a quick post about how I was able to repair the damaged keyboard on my recently unearthed Commodore VIC20. As I mentioned previously in my VIC20 Attic Find post, the decades of storage in my attic had taken its toll on the keyboard. The insides of the keys had become brittle and four of them had broken apart. As you can see from the following photo they were in a pretty bad shape. In this condition they just wobbled around on top of the plungers and fell straight off if the keyboard was turned upside down. The quick and easy solution would have been to stick some blue-tack in there but I doubt that would have been an effective bodge for long. Alternatively I could have glued them in place but then they would be permanently attached to the keyboard with no way of removing them for future cleaning or repairs. As my dad always used to say, if a job’s worth doing then it’s worth doing properly! I did toy with the idea of replacing the whole keyboard with one from a donor machine off eBay. However that wasn’t cost effective and I really wanted to keep my VIC as original as possible. 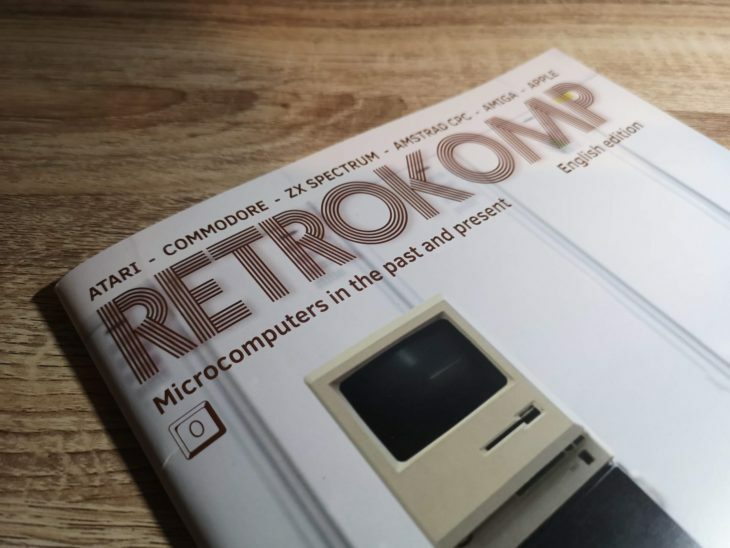 I asked and searched around and eventually stumbled across retroleum.co.uk. They sell (amongst other spares) individual replacement Commodore 64 keys for £1 each. 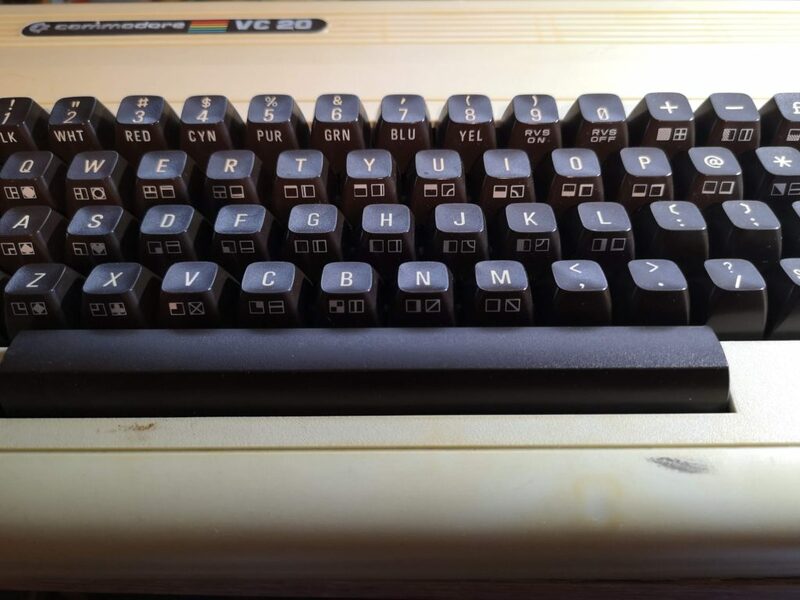 Luckily for me, the keyboard on my VIC20 is identical to the ones found on the original breadbin style C64’s. 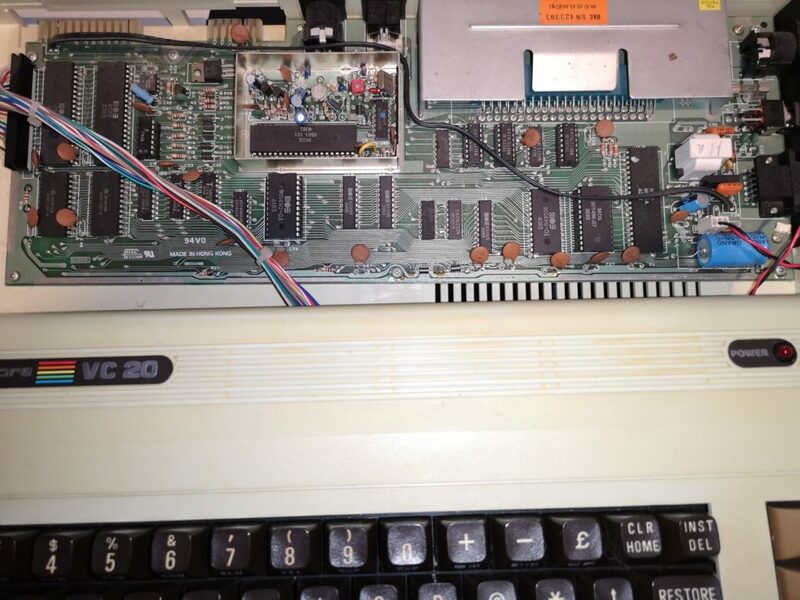 Not all revisions are so do check carefully before buying C64 keys if you want to fit them on a VIC20. 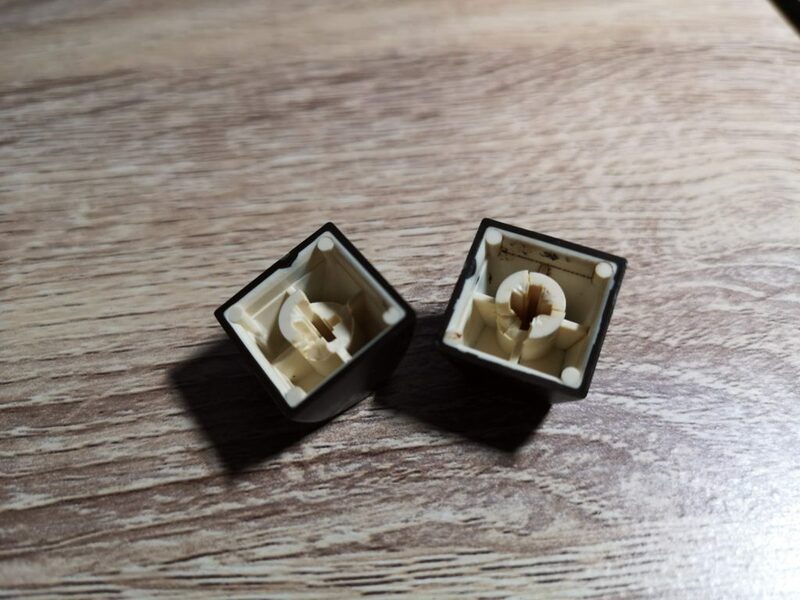 Particularly useful was the fact that they sell a wide variety of keys, not just from different models of C64’s, but with different levels of yellowing too! 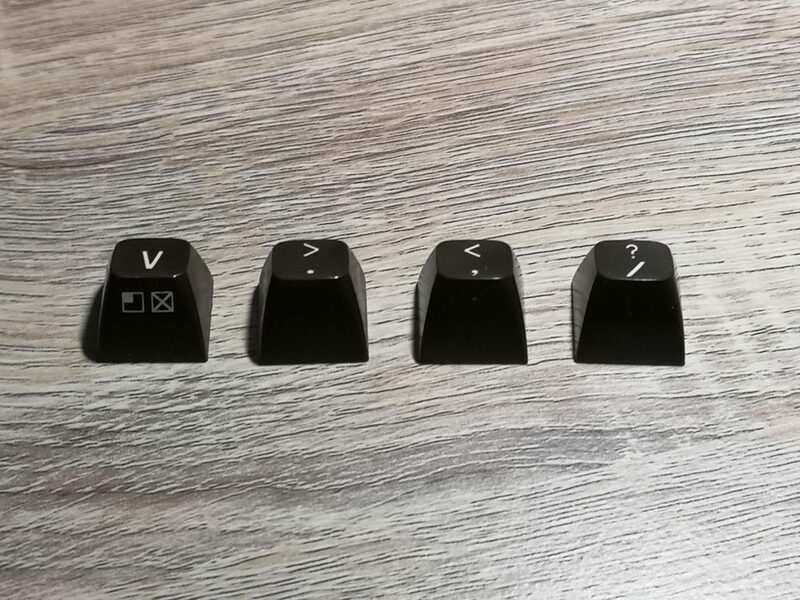 This meant I was able to choose some that would blend in perfectly with the rest of my keyboard. In the end the keys I ordered were described as ‘Breadbin C64 – Keyboard Type 2, Grade 1.5’. A couple of days after ordering them they arrived in a neat little cardboard box. New keys fitted – perfect match! Fitting the new keys only took a few seconds and I was really pleased to see that they turned out to be a perfect match for my keyboard. My VIC20 is certainly looking a lot happier and I can actually use the keyboard now too. Now that the keyboard is sorted I still need to look into sorting a few other things out. Next job will be to pop a few heat-sinks onto some of the more critical chips and maybe retrobrite it, if I’m feeling brave that is, (my last attempt was a disaster). 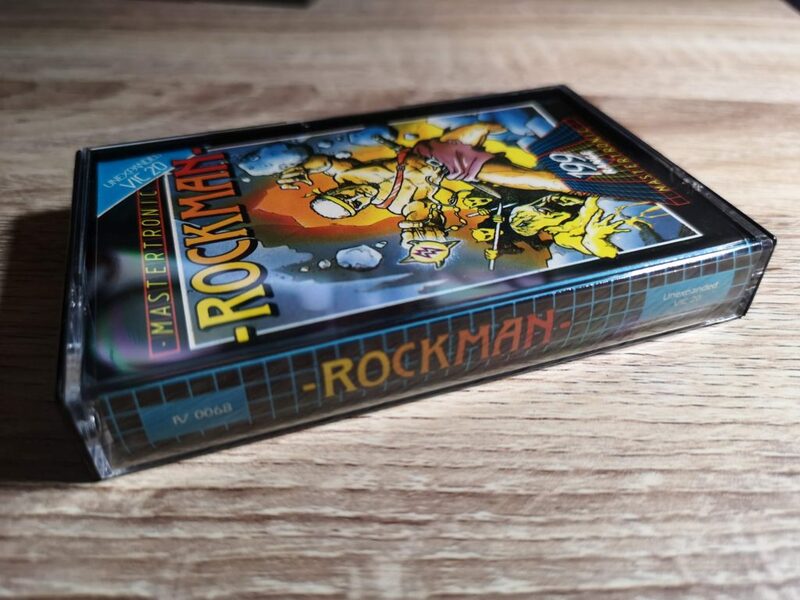 Replacing your game library cases is a very quick and easy method of rejuvenating some of your old cassette games. If yours are anything like some of mine then you may have several scratched up, chipped, broken or yellowed cases skulking around in your collection. 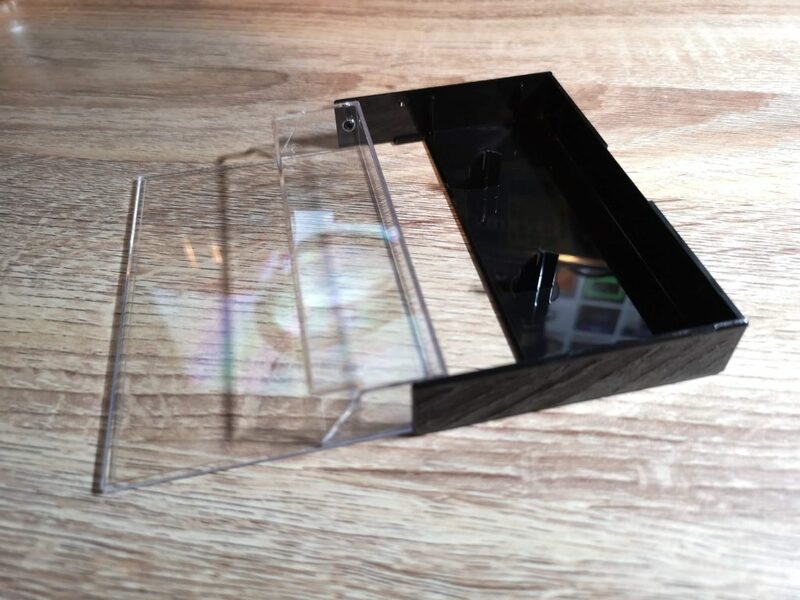 The good news is that there are still companies out there supplying replacement cassette library cases. The company I use, based in the UK, is called Tapeline but there are probably others too. The ones I’m using here are just standard black library cases costing around 26p each at the time of writing. You can get a variety of different types and colours too, even double and triple cases should you need them. 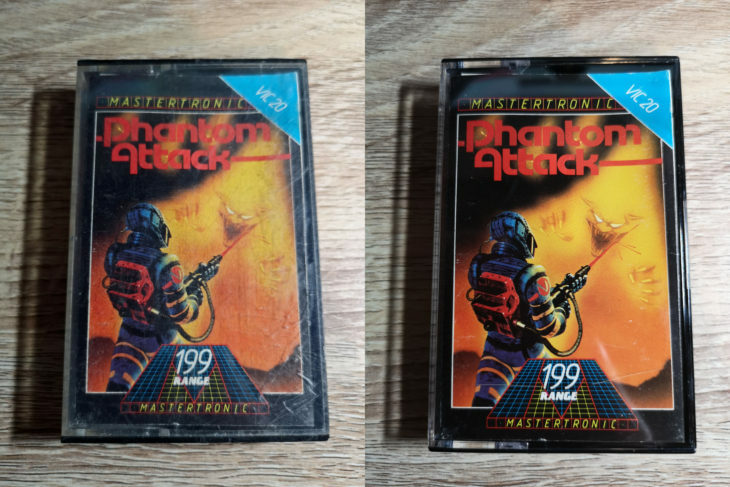 Once the cases arrive it’s simply a matter of removing the cassette tape and paper ‘J’ card inlay from the old case and popping it inside a nice shiny new one. Here’s a few before and after photos to show the difference they can make. I’m sure you’ll agree that after replacing the game library cases the games look infinitely better, almost like new! 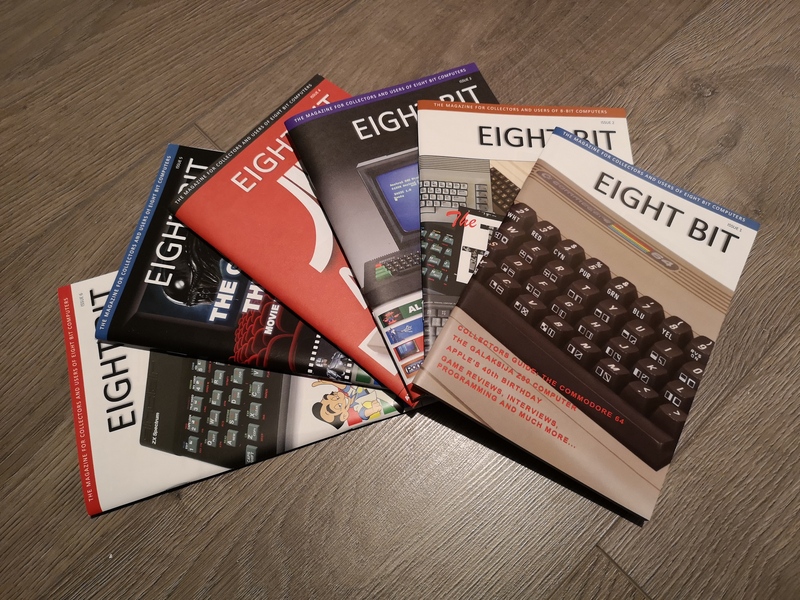 I received a nice package in the post this week containing half a dozen classic games for the VIC20. Four of these are actually re-acquisitions after I foolishly sold them. In my defence, at the time I believed I no longer still had my VIC20 so had little use for them. 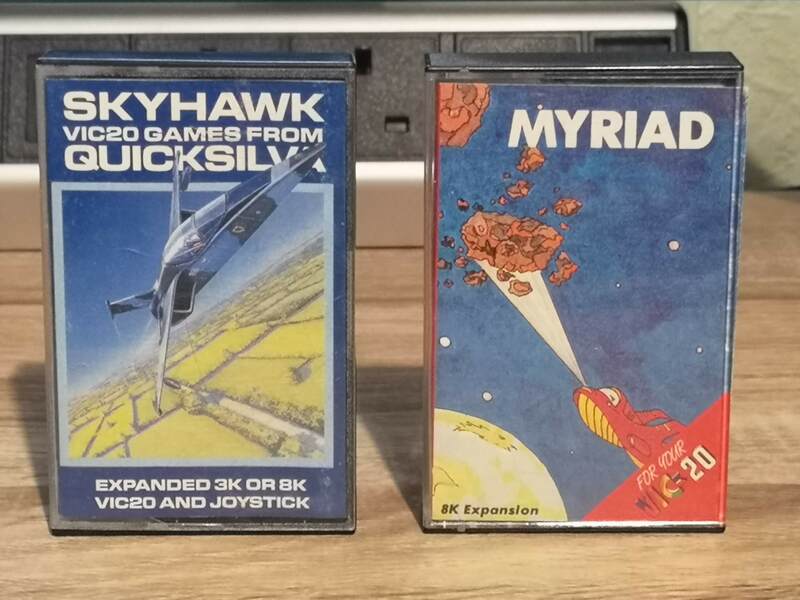 The other two (Skyhawk & Myriad) I only ever had copies copies of. I wanted to have the original games in my collection. They’re all in great condition and complete with their little instruction booklets. I have to admit I’ve never really been a big fan of these early plastic clam-shell cases. They often tended to have ill fitting inlays that stuck out of the top or bottom of the case leading to them becoming dog-eared or worse. Thankfully these cases have fared pretty well considering their age and still look really smart. I thought I’d honour the occasion with a screenshot of each game taken after I got them to load (or not). Maybe it will jog a few happy memories for you too. I know I had completely forgotten what a few of these looked like until loading them up. Crucially I’d forgotten what they sounded like! The woosh and thrum of my harrier jump jet loading fuel and getting ready to fly in Skyhawk instantly whisked me back to my childhood for example. 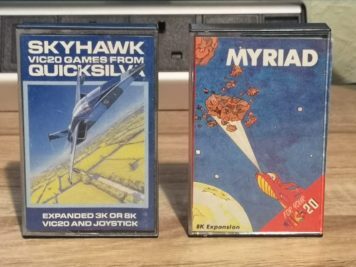 Skyhawk by Quicksilva – needs either a 3K or 8K RAM expansion. Make sure to load the correct side or you’ll get an ‘out of memory’ error! I used to love this game, even preferring it to Falcon Patrol on the C64. It just just seemed to play and sound better to me, offering a faster paced game that was just more fun to play. Even the bright chunky graphics had a charm of their own that FP couldn’t match. Myriad by Rabbit Software – needs 8K RAM expansion. A brilliant little vertical shoot ’em up with colourful graphics and great sound effects. I found this pretty addictive as a child taking turns playing against my school friend to try and get the highest score. This was one of the games I copied, probably off that same friend I was playing against. I’m glad I finally own the game now. 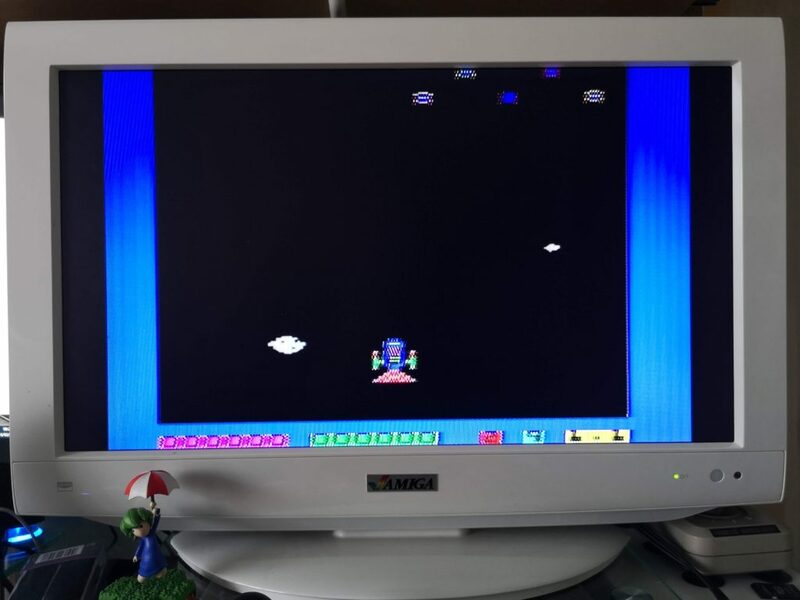 Submarine Commander by Creative Sparks – needs 16K RAM expansion. 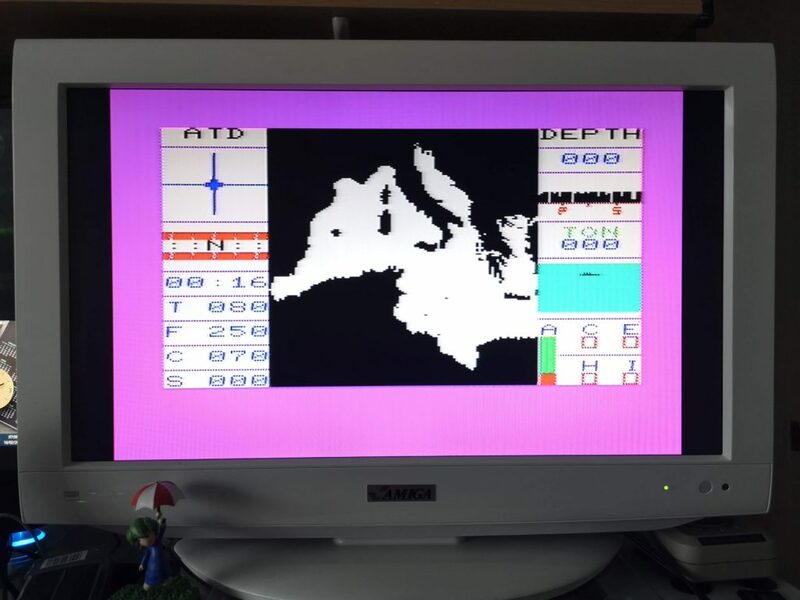 Not quite on a par with Silent Service on the C64 but still an engrossing sub sim on the VIC that convinced childhood me that I was the Captain of a submarine! 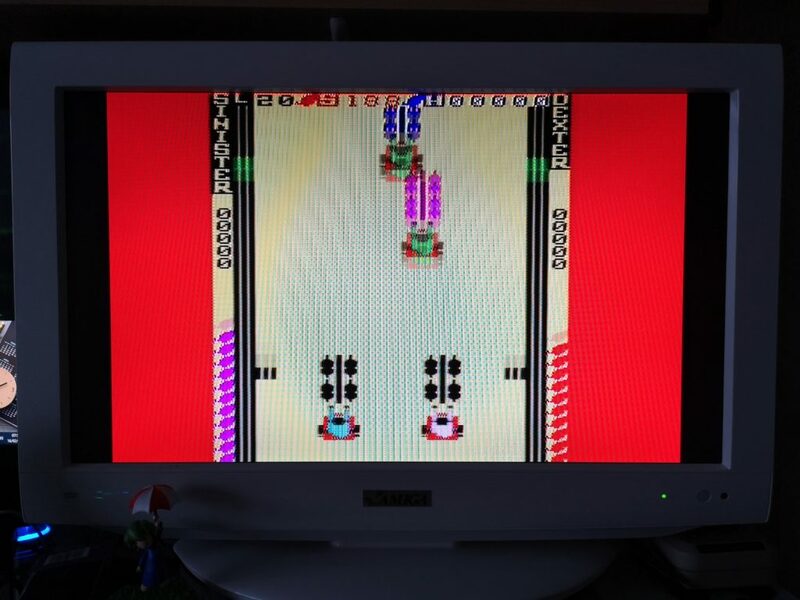 Chariot Race by Micro Antics – the only game here that runs on an unexpanded machine. Amazingly this was one of the few VIC games that had a 2 player option. There was no joystick option though, you both had to use the keyboard to control your chariot. With my much larger adult hands this is probably a bit restrictive now but as a child playing against my sister (and beating her all the time) it was never a problem! Computer War by Creative Sparks – needs 8K RAM expansion. This was basically a game based on the movie War Games. I suppose you could describe it as a variety of mini games where you had to crack codes and shoot down missiles in order to avoid WW3! This was another game that used to keep me entertained for long periods of time! All of these games were played heavily as a child, particularly those that required more RAM. The extra memory afforded improved effects and more interesting, in-depth games. I remember being especially fond of Skyhawk, Myriad and Tank commander back in the day. This makes the fact that Tank Commander wouldn’t load all the more disappointing. 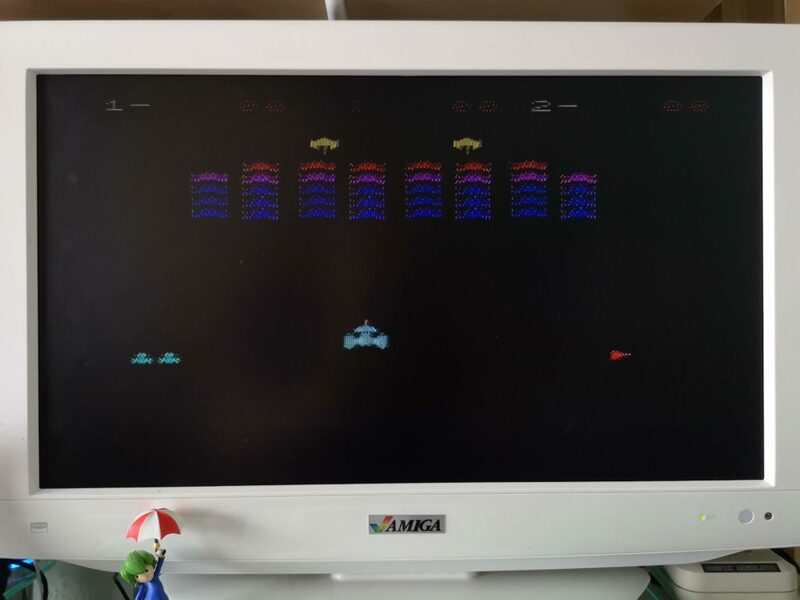 However I can’t help but be amazed that the other five games still loaded perfectly, nearly 40 years after they were made on a format that was never expected to last this long. 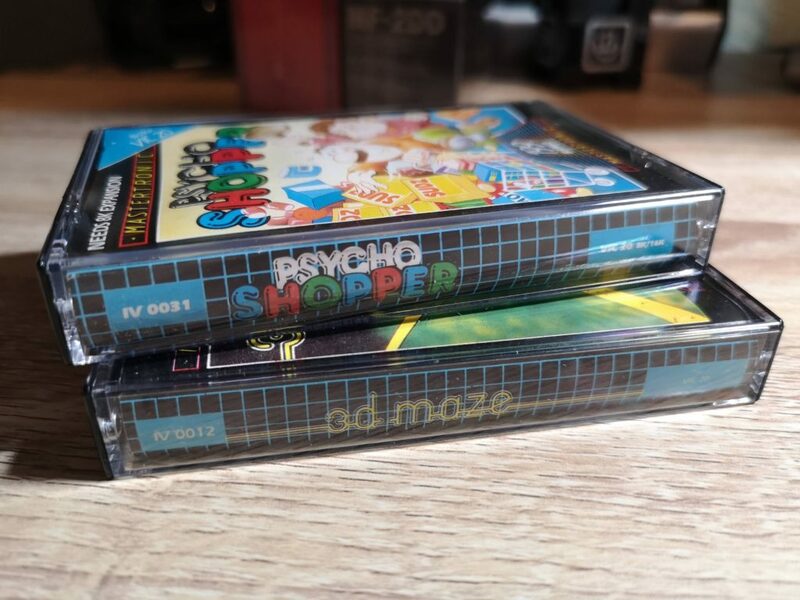 Looks like there’s still a couple of original games I still need to track down before I can retire this tape! 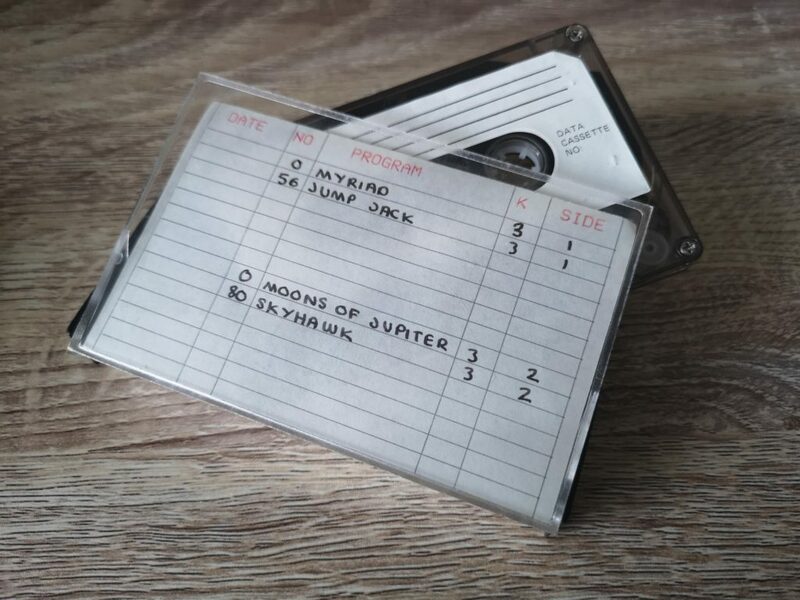 Incidentally the cassette inlay was designed and printed on the VIC20 by me using the Commodore 1520 Printer Plotter and BASIC. Whilst rummaging around in the attic looking for a box of lights during the Christmas 2018 period I stumbled upon something amazing. It looked innocuous enough, a really dusty brown box tucked away under the eaves. A box that I’d completely forgotten about. A box that hadn’t seen the light of day since I moved into our house 24 years ago. The contents had probably in that box for years before that too. What am I rambling on about? Only my Commodore VIC-20 that’s what. The very first computer I ever owned or indeed used! Not an eBay re-acquisition but the actual machine that my parents bought me for Christmas when I was 12 years old! The box was chock full of goodies, some in better condition than others. My VIC-20 had held up quite well albeit slightly yellowed. Unfortunately the sockets on the underside of some of the keys had become brittle and broken apart. When I removed the faux leather cover several simply fell away. The space bar had come off too but fortunately that just clipped straight back on. 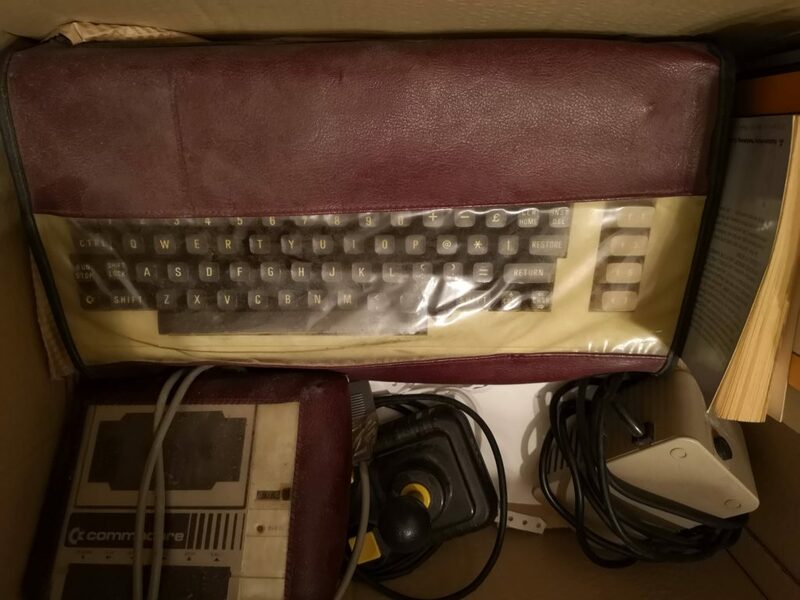 VIC-20 Keyboard looking a little worse for wear. 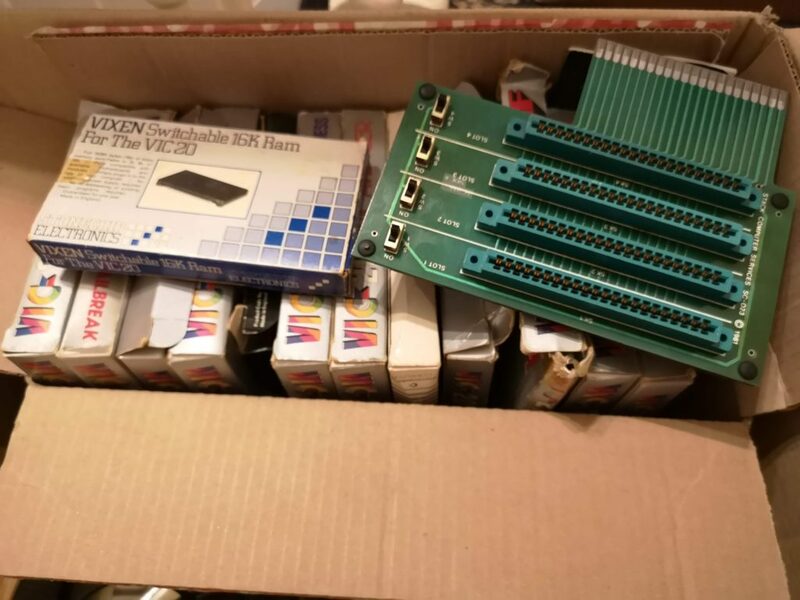 Besides the VIC, a lot of my old software was in the box too including all my old cartridge games. 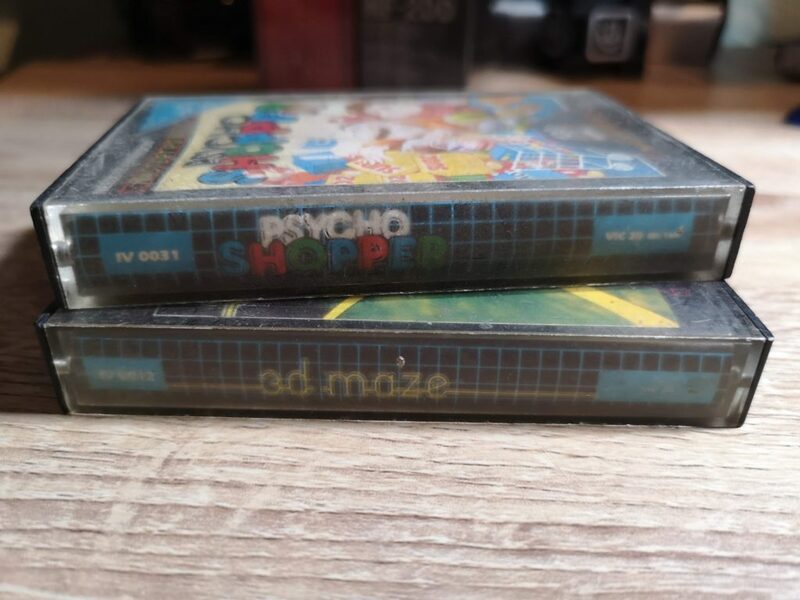 There was also a vintage cassette case containing most of my old tape games too. I used to have a load ‘school playground’ acquisitions as well but they where nowhere to be found sadly. Once I’d made sure that pretty much everything I remembered from my childhood was present and correct I naturally wanted to see if it still worked! To be safe I decided to open up the case and check that nothing had fell inside that might cause a short circuit. I also checked that none of the capacitors had degraded or leaked onto the motherboard. Happily, besides looking a little dusty the old girl looked to be in good condition! 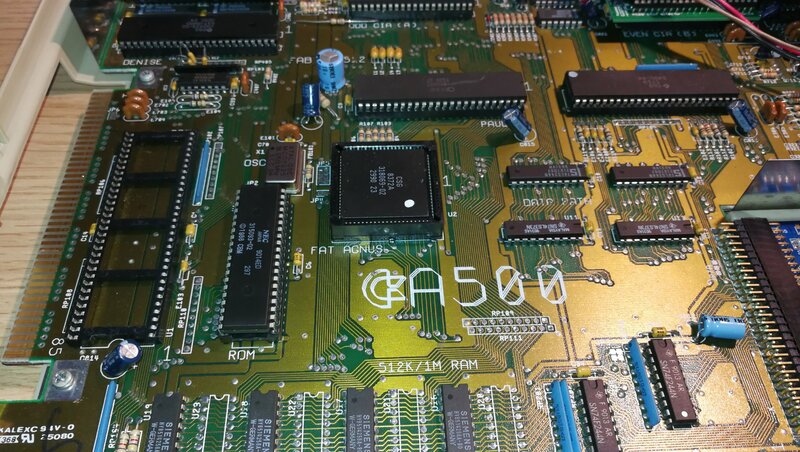 A look at the VIC-20’s motherboard. 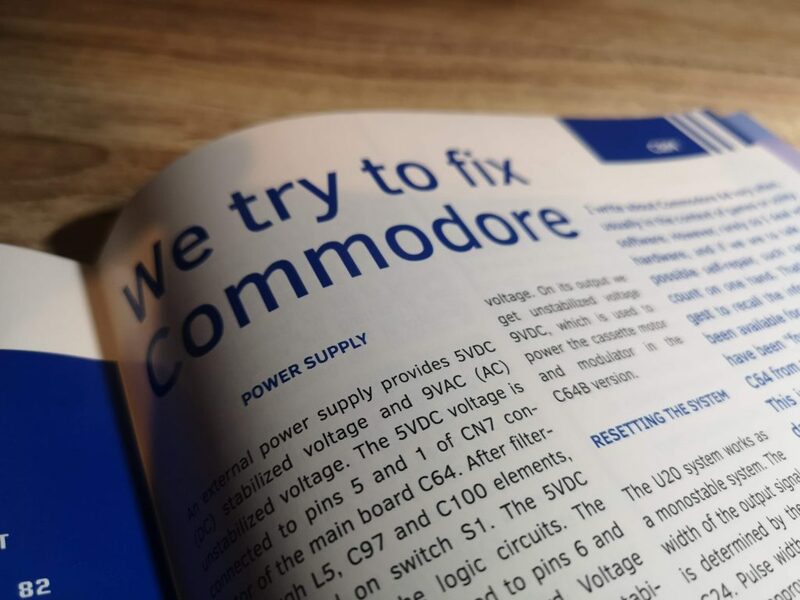 The original PSU still worked but as they can be notoriously bad for your Commodore’s health if they fail I didn’t want to take any chances. To protect my VIC-20 I used my SAV64 between the VIC-20 and PSU which would prevent any errant voltages reaching the motherboard. Suitably protected I plugged everything in and turned on the power. I have to admit I was fearing the worst so I was relieved when I was greeted by a lovely glowing red LED! A very good start. Next I needed to hook it up to my TV. Although the modulator was in the box there was no way I was going to try and use that, the picture quality would have been appalling. I grabbed my C64 video cable to see if it would fit but unfortunately it didn’t. The VIC-20 uses a 5 pin DIN socket whereas my C64 uses an 8 pin one (for the extra chroma & luma info presumably). Not to be deterred I rummaged through my boxes of old cables. Eventually I found a suitable composite cable that I used to use for my C64 before upgrading. I plugged it in, switched everything on and with some trepidation, switched the TV over to its’ AV input channel. I couldn’t have been happier when I was greeted with that familiar white and cyan screen. 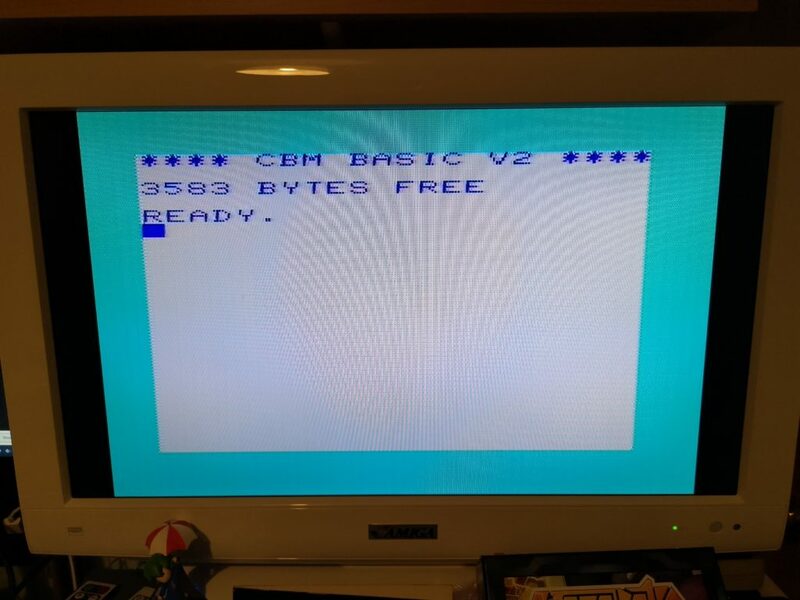 That message saying ‘**** CBM BASIC V2 **** 3583 BYTES FREE almost brought a tear to my eye. Buoyed by this success I quickly dug out one of my favourite old game cartridges, Omega Race. Everything worked perfectly, the joystick, the sound, just as it had done the last time I played it about 30 years ago. Incredible! In the coming months I will be trying to restore it to it’s former glory, cleaning up the insides, adding heat sinks to some of the chips to prolong their life and possibly retrobriting the case. 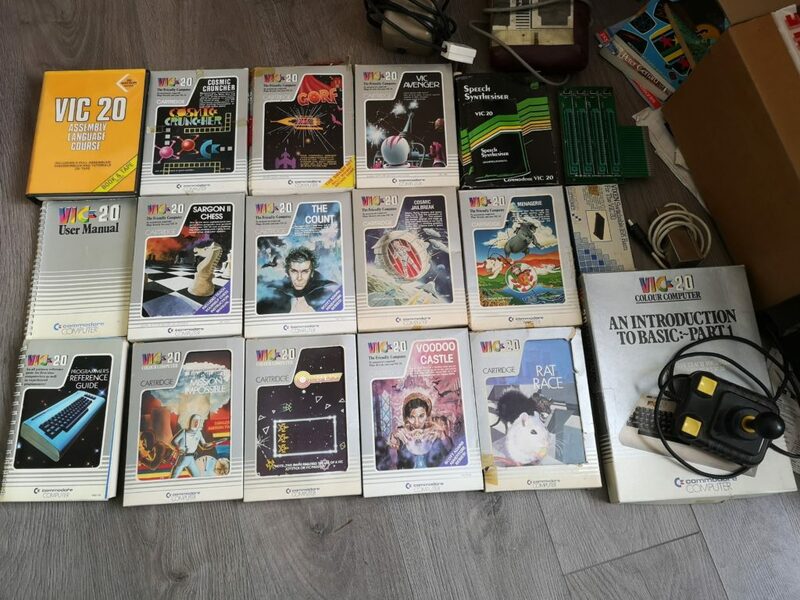 I will also be looking into the current VIC-20 scene and expanding my game collection, trying to get hold of games that I previously only owned copies of. 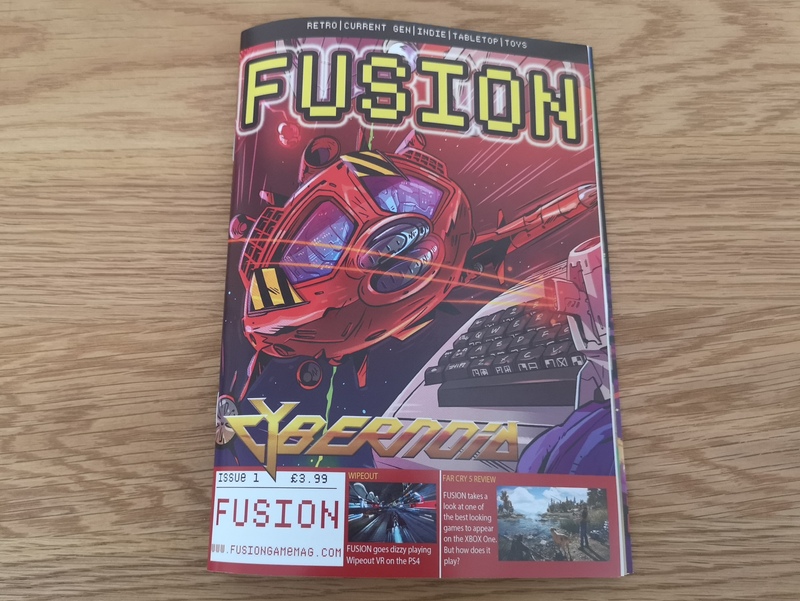 Not only that but I will be scanning my whole VIC-20 game collection and putting them on this site as 3D models for everyone to enjoy.